Yeah, I am safe and intact. I have survived this Dooms Day also. Nothing happened to me in spite of all those predictions about the end of this world. Previously also, I survived the millennium apocalypse and now, the Mayan apocalypse. The other day, my son asked whether I wrote anything on the Mayan calendar. At that time, I dismissed it as a silly topic. But, later I thought, why not write on that fuss. I should follow the mob. Ours is a mob culture. If people around you talk about something, you must be one of them, if you are to be there. Prophecies regarding the end of the world have come many times. The last time, it was in 2000 when every corner of the world was filled with doubts of whether one will wake up to see the sunrise on 1-1-2000. But, everything went normal and nothing happened. There were other doubts regarding computer workings coming to the halt. But that was also solved by prior steps taken for an uninterrupted transmission of the data from 31-12-1999 to 1-1-2000, without experiencing any problem. 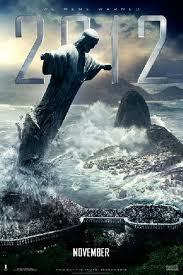 Now, this time, it was the turn of the Mayan calendar predicting that world would end on 21-12-2012. But, it too has proved false. It was simply a rumor circulated by some people who believed that the calendar was built with the assumption that the world will last for 5200 years only when it was designed more than 3000 years B.C. Many Chinese and Russian people also believed in this theory along with other countries' people and were making preparations for the apocalypse. But survivors of Mayan culture themselves dismissed the assumption as false. The Mayan culture flourished during the period of 250 A.D. to 900 A.D. in the region of Central America. Their calenders consisted of 13 days per week and 13 cycles of 400 years each which has been misinterpreted by some of its followers as the lifespan of the world to be only 5200 years. A carved stone found in Tortuguero, a Mayan ruin site in Mexico, has created all this rumor. Other Mayan ruin sites found are at Guatemala City, El Salvador of Mexico, French village of Bugarech and Alta Paraiso in Central Brazilian highlands. At present, Mayan culture has almost vanished. Their calendar has also ended and it is a new beginning for them in the new world. So, next time when you hear of predictions about the end of the world, don't get bewildered. Simply dismiss them as false rumors. Be confident that the world will last for more and more thousands and lakhs of years ahead and it will not end so soon.